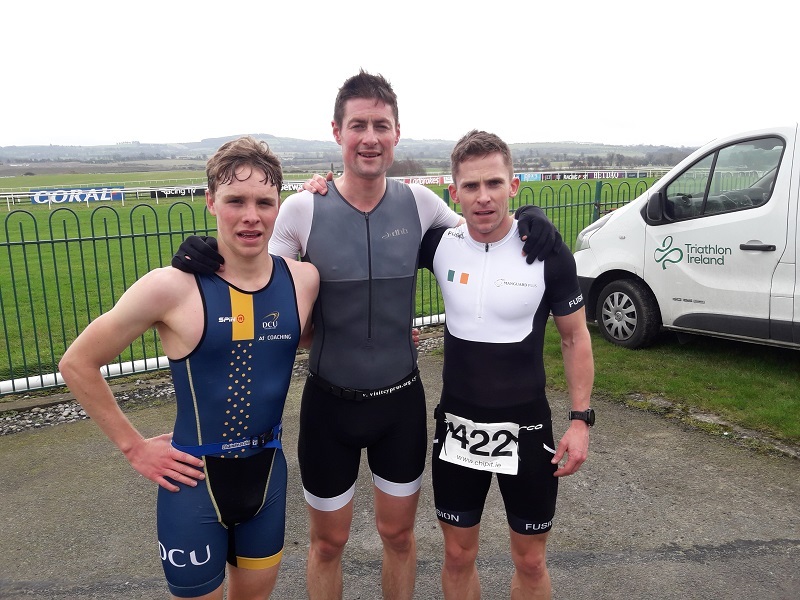 Sunday saw the last round of the Galco Naas Duathlon Series. With another very competitive field, the stage was set for a great race. 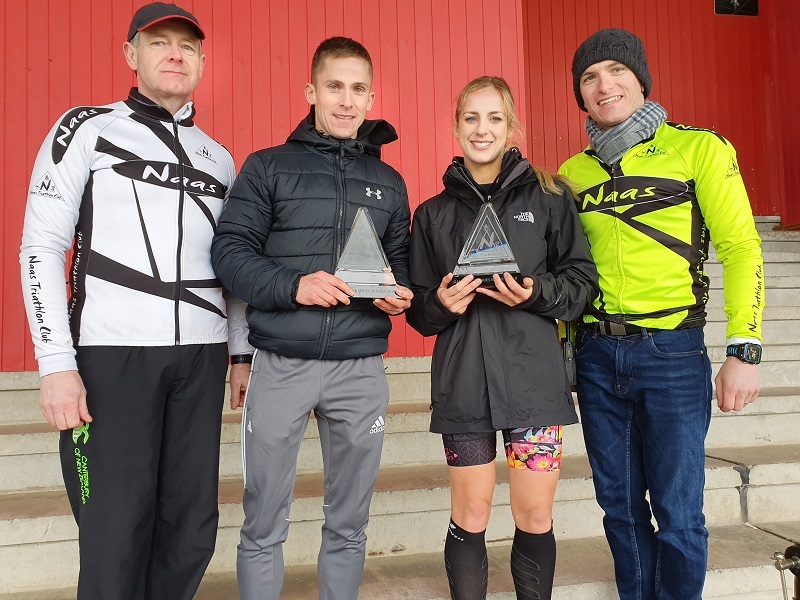 The main race was part of the BMW National Series with crucial points on offer but along with that we had the very first National Para-duathlon Championships being held. 8 athletes lined up at the start line of this momentous event across four categories and congratulation to Donncha McCarthy (guided by Stephen Teeling-Lynch) Judith McCoombe (guided by Louise Crowe) Tojo Lazzari and Elizabeth McTernan who are all newly crowned National Champions in their respective categories. In the National Series men’s race Chris Mintern saved his efforts for the second run where he pulled away to win by a minute from Marc Flavin and Paul Carroll who fought a tight battle for second and third place. 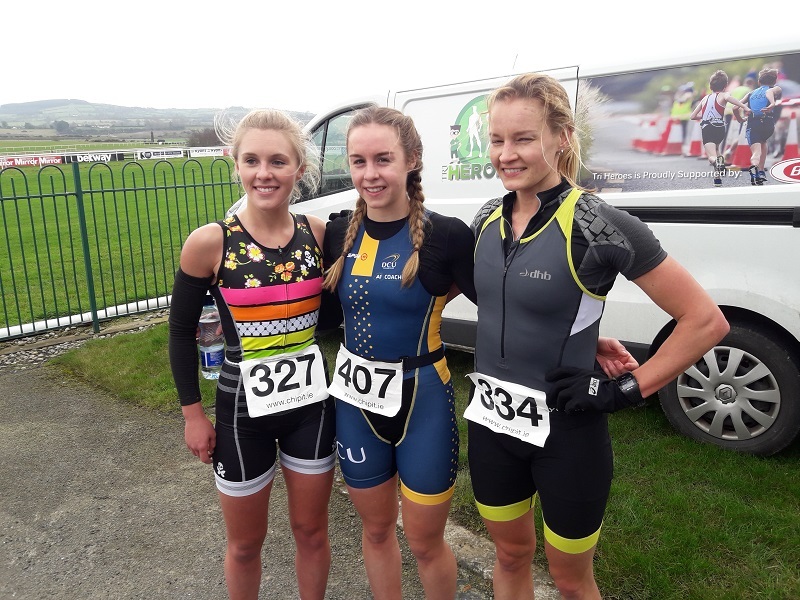 In the women’s’ race, Olivia McCartin was the clear winner from Junior Ella Doherty and Siobhan Murtagh. In the Juniors we saw another great performance from Sabian Kulczynski in the men’s race and Ella Doherty and Emma Boyle in the women’s. The Galco Race Series was also to be decided, with points accumulated from Rounds 1 & 2. As is often the case, consistency is key and so previous podiums places by Conor Tiernan and Jennifer O’Sullivan had them in pole position at the start. True to form both had strong performances to round off the series in style and take home the honours. 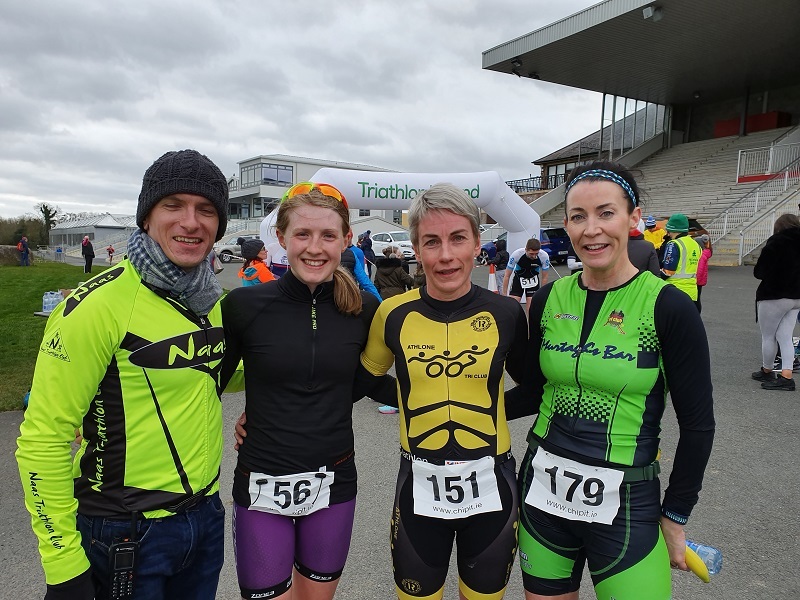 As usual the Galco Naas Duathlon series proved to be as popular as ever and offered both highly competitive racing at the top end alongside a great opportunity for people to try out a duathlon for the first time. Huge congrats to all who completed their first duathlon and also to all who took part and made this another great start to the year. 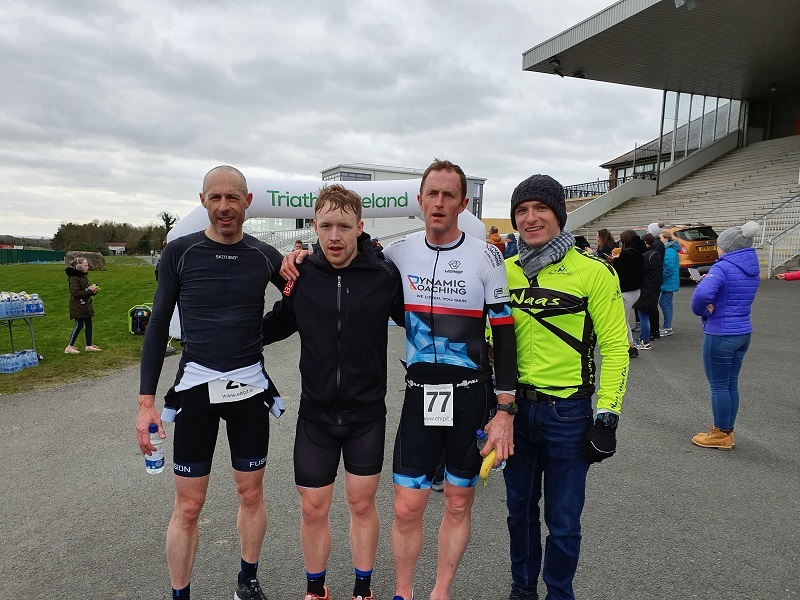 Round 2 of the Galco Naas Duathlon Series was another sell-out race with over 200 entrants registered, including some very competitive athletes. This time there was added interest as this was also the National Intervarsity Championship. On a beautiful spring morning, the race comprised of a 3k run on the ambulance track around the racecourse followed by a 20k cycle out to Blessington and back and ending with a second 3k run to finish in front of the grandstand. Cian Kelly set a blistering pace once again on the first run, coming into T1 closely followed by Conor Tiernan with Michael Moran and Colm Turner just behind. With a strong wind picking up, the bike leg was always going to be decisive and so it proved with Shane Power and Colm Turner leading into T2, from Michael Moran and Conor Tiernan. Colm got away best although Conor tried valiantly to catch him, posting the fastest 2nd run of the day but came up just short, leaving Colm Turner to claim 1st place, Conor Tiernan in 2nd with Michael Moran in 3rd. In the women’s race, Christine Russell led from the start from Hikka Kontro, Jennifer O’Sullivan and Shannon Kelly. Once again, the bike leg was significant with Shannon Kelly passing Hikka and closing in on Jennifer. Once onto the second run Christine pulled away to take the win ahead of Shannon Kelly in 2nd while a fast finishing Hikka Kontro just edged out Jennifer O’Sullivan for 3rd. In the Intervarsity Championship the honours went to Christine Russell and Michael Moran both from DCU while Leo Doyle won the Junior section ahead of Cian Ibbotson and Cian Kelly. 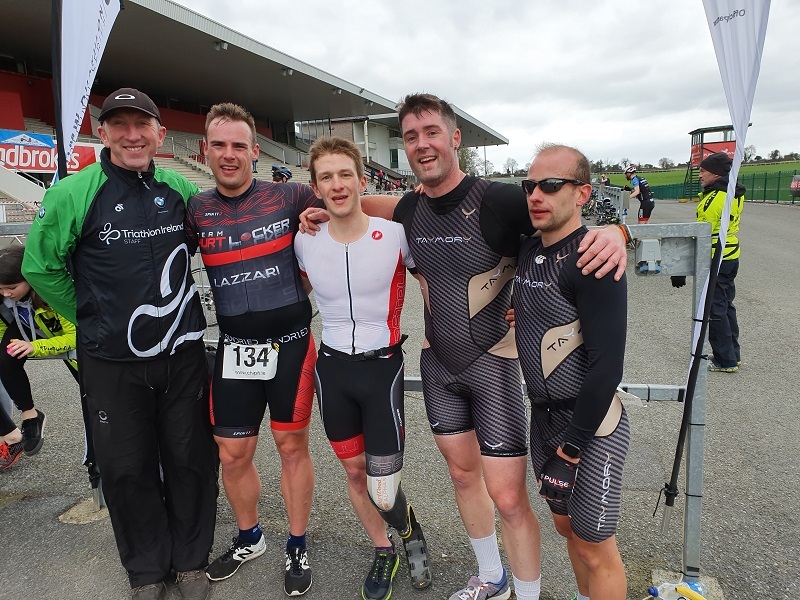 Naas Triathlon Club hosted the 1st round of the Galco Duathlon series in Punchestown on Sunday. 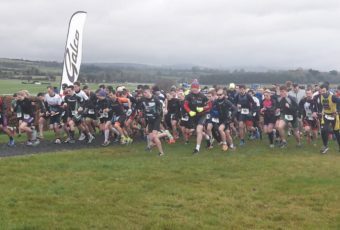 This is the traditional season opener for Triathlon Ireland’s National Duathlon Series and it was a sell out as usual, with over 200 competitors lining up despite the damp start to the morning. For many athletes this was their firsttime taking part in a duathlon which involves a 3k run on the ambulance track that goes around the racecourse followed by a 20k cycle out to Blessington and back and ending with a second 3k runto finish in front of the grandstand. At the serious end of the race a couple of the juniors showed their run pace with Cian Kelly and Sabian Kulczynski leading the first run along with Conor Tiernan. The bike leg allowed Marc Flavin and Daryl Kearns to show their strength and pull back the leaders to come off the bike with a commanding lead over Conor Tiernan and Emmet Kelly. That was how they finished with Marc Flavin taking the win in fine style while Sabian Kulczynski held off a fast finishing Cian Kelly to win the Junior section. In the womens’ race, Ciara Wilson led from the start from another junior, Ella Doherty, with Shannon Kelly and Jennifer O’Sullivan coming into T1 together chasing hard. On the bike leg Ciara edged further ahead by another 30 secs to maintain her lead onto the second run while Shannon and Jennifer kept up the chase and came into T2 with only a few seconds separating them. Remarkably they posted the same time as each other on both the first and second run section but neither could match Ciara’s pace as she closed it out for a convincing win.